If you didn’t hear from us, sorry, you didn’t win this week! In post 1 Berta says that she became well known since she started selling on Ebay in 2000, but in post 3, her earliest Ebay feedback is from 2001. 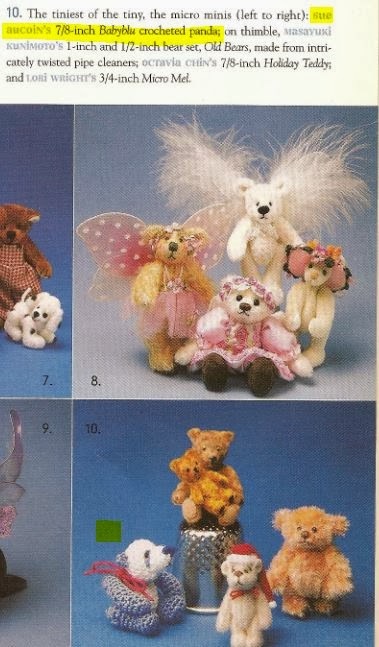 In post 2, Berta says that she started selling “thread bears” in 1999-2000, but her earliest ad (since she didn’t show any other) from 2001 shows that she was selling sewn bears when Sue was selling crocheted bears in the same magazine. 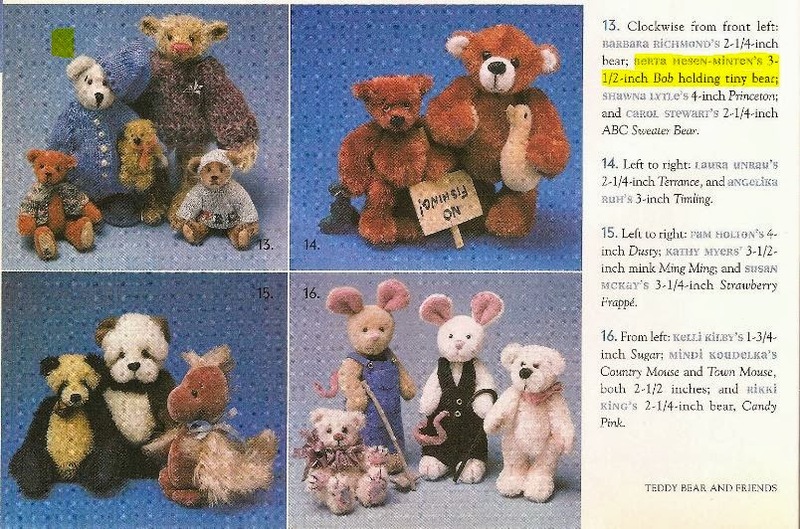 In post 5 it shows Sue was selling patterns and collectibles as early as 1995 in commerce and her earliest feedback is before Berta’s, but Berta leads people to believe she was the one to bring “a whole new bear to collectors,” as shown in post 2. Even though she admits in post 2 that when she started “there was not even a hand ful thread animal artist) and I’m proud of that.” Proud of what? We are giving Berta an opportunity to show evidence for her earliest advertisement of thread artist bears, since she has stated that the evidence we provided wasn’t her “first” announcement, just her “newest.” It is what it is, but we’ll give her an opportunity. So, Berta, where is your evidence? Berta, this is the only early advertisement (in commerce) of yours that we have found, which is a sewn bear. 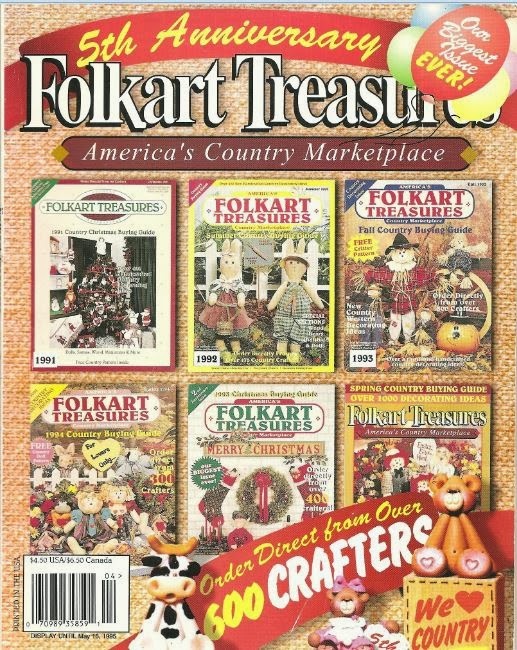 We’ve even included the front of the magazine, and our advertisement of a thread crocheted bear on the previous page. We could not find anything before your 2001 announcement for your new crocheted bears. 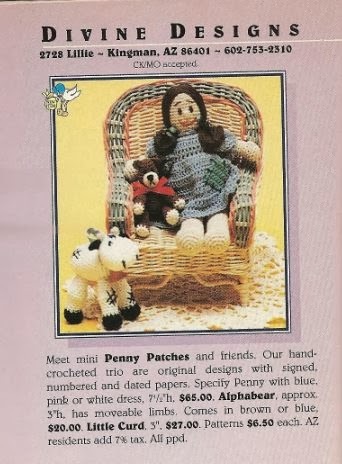 Since you have said that what we have shown (from your evidence) wasn’t your earliest ad for crocheted bears, we are giving you an opportunity to provide it below. Post 6: Berta’s evidence of her earliest advertisement of thread crocheted miniatures in commerce. And what is the purpose of this portion of this continuing *contest*? Has Berta ever stated in these clippings that she was the first to sell a miniature bear? No. Have you always attempted to push your agenda anywhere, anytime that you were the first to sell? Yes. Even those are nebulous; you show several of Berta's statements about her early bears being ready for sale or sold. No claims were by her or others of being the first or any other position in sales dominion—as if this was some sort of accounting or race to be the first. And yours is posted yet again as a FIRST sale. Who cares who was first? You have always insisted that being *original* and *first* was most important. 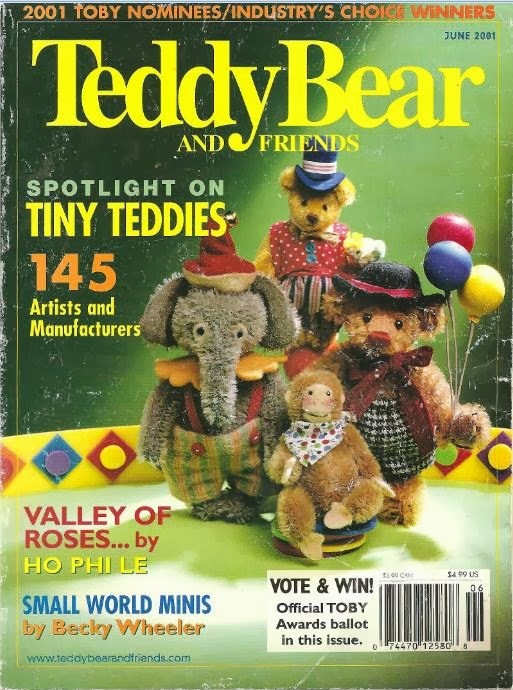 You'll never hear one of the Port family members (Beverley being the acknowledged Mother of all modern bear artists, including you and me) claiming this for standard-sized bears, nor any of the other innovators in this field. Even the Steiff's and Hermann's in their ads don't plaster it everywhere -” WE were FIRST! !” It's understood due to the quality and a simple dating procedure and they got on with their lines of work. Only you think this is important to keep cramming down everyone's throats. What bearing does this have on the overall scheme of things, other than a false attempt to make oneself to look better than others? There is nothing dishonest (your inference) in these several different postings about a new product line at different times and in different places especially as NO attempt was made by Berta to state that this was a first, best or only product available of this type, as the Thread Bears company is continuously posting about themselves. You are picking these postings apart, word for word, and interpreting them through your own skewed filters, rather than seeing them as a whole. If any of us were to do this in retribution with the dozens and dozens of your public and private postings, emails, etc… we could fill volumes with interpretations and information about your rantings and writings. No one has the will or the time or the black hearts to involve themselves in a project like this. We cannot get our work done in 24 hours now, much less take on such a profoundly malevolent task. Developing an honest reputation and a good product are all that's important to other artists and collectors. Anyone who is following this garbage is only here due to liking gossip or wants to win a free piece of crochet. *You, in effect, are attempting to re-try a case of which you have already won: Priority of Use, which was one of the bases for Berta's opposition to your application for obtaining the trademark for Thread Teds by Thread Bears. Since it was awarded to you last summer, this is extremely *bad sportsmanship* – to rub-the-defeated's-nose in the aftermath of the case, which she lost (according to the Opposition Appeal Judge of the TTAB) for want of including a single dated Invoice to a US citizen to prove her Priority of Use by 3 years over your claimed usage. It's not that your evidence (none of which was even ever submitted) is better, it's just that one single piece of hers was missing. This rampage of yours continues with every new contest posting, dragging first your own family's names and then others through the mud. Have you really no idea how ridiculous, petty and mean-spirited and above all – UN-CHRISTIAN – all of this makes you appear? Get back to crocheting, turn this blog into something cheerful that reflects a joyous heart, spirit or mind about your own work, and leave everyone else alone. You've proven your point many times over. Stop beating a dead horse. Bobbie, if you actually read the things we've posted, you would know why we are having this contest. You and your friends have continuously bad-mouthed me and maligned my character publicly for years. You even used the Trademark Office as a venue to bash my character when it had nothing to do with trademarks. And since you have brought up that topic–yes we won the lawsuits. And despite your 600+ pages of “evidence,” you lost. But despite your losing, Berta won't honor her word. She said she would not use our trademark anymore if it was ruled against her, and I quote her when she said she would not use “those two words together,” yet she continues to this day. And, you continue to mislead people. You both are continuing to mislead people about us and our trademark, along with your so-called friends. The only ones that believe your disclaimer garbage are the ones that can't read and see that in THAT particular mark the words have to be worded a certain way. That it only pertains to that certain trademark. Anyone who refuses to understand that deserves to have their listings removed. AND AGAIN, where were your so-called “friends” to defend you when your words were being posted here? So what business is this of yours anyways? You don't crochet, you don't make bears, you don't do anything relative to our business, so why do you constantly feel the need to give your opinion of what we are doing or what we should be doing? If you really thought we were hurting our reputation by having this contest, you wouldn't care enough to comment. You're upset because we've put your own words out there for people to see what you've done. We have nothing to hide, which is why we have allowed you to spew your garbage on our blog. You are nothing but a bad-mouthed gossip. People should wonder why you have so entrenched yourself in our business when it doesn't effect you in any way. If this horse is dead, then why is Berta still riding it? 1 – < <"if you actually read the things we've posted, you would know why we are having this contest." Of course I realize why you are doing this. It's to play the victim yet again, because you don't feel that you've been able to express yourself fully to *enough* others who will stroke your egos and make you feel that you are doing right in this situation. The more who put you down, the more determined you are to “set matters straight”, which will never happen. You have stated this many many times in the past, when referring to anyone going through the US Patent and Trademark Office's, lawful, legal proceedings involving your trademarks. It's in the law: anyone who feels they have a 'beef' about something has a perfect right to file through the USPTO, as long as the pay the fee. You might have had a clear-cut path to this statement if any false charges of infringement or other 'character bashings' had been brought against you. But the truth is that all filings by those opposing you contain only true statements involving only clear, misrepresentations by you/your companies of the USPTO tm Laws. And everyone also has the right to read the manuals and restate what they say. I'm aware of your latest take-down notice. When Berta or any other knowledgeable teddy bear artist uses the phrase thread bear, they are not encroaching on your Thread Bear® tm. They are using either of the 2 disclaimed phrases directly as a result of the disclaimer ruling, which Emma signed representing BOTH of you, and became effective (according to the USPTO law governing this tm—do you still need the document number and ruling reminding you of the Sept 3rd, 2011 signature?) on the date the Thread Teds for Thread Bears® tm was granted – that “the phrases 'thread teds' and 'thread bears' now carry a NON-EXCLUSIVE USE STIPULATION with it. Non-exclusive to you and your entire family organization. It is you and your entire family who refuse to accept this fact. YOU created this 'mess' when you chose to use the same phrase twice, in two different marks, which is partly why the disclaimer was demanded, (also due to the pervasive genericness since its inception due to your using it continually and associating it in the minds of others with this product (when Matt Walsh—the originator of the Thread Bears® mark—used it on a different type of teddy bear), and now you understand how difficult it is to protect one fully defensible mark, yet allow its use in another when it can be claimed by all under lawfully signed disclaimers by yourselves for the other mark. That really wasn't a very wise or well thought out move. What business is this to me? It is the business of every person who creates or designs, especially bears or interested in artistic rights in general. No, I do not crochet because my finger joints don't allow me to do so tightly enough for my own satisfaction However I do knit and needle felt, and do both quite successfully. I do make bears but they are not sold on the open market; I have moved beyond this and have private sources for sales. As I understand it anyone is free to voice their opinions, even here. Haven't you invited that in the prior posts as well as this one dated yesterday, claiming non-removal because you would give everyone the opportunity to be heard? W H A T???? “THAT” particular mark? You cannot even name the one we're concerned about here? I'll write it for you – it's Thread Teds by Thread Bears®. As for the disclaimed phrases, there is no other way to have them “worded a certain way” than to simply write them as *thread teds* and *thread bears*. You yourselves have demanded that there are no exceptions for font style, size, color, etc… Then what is this “worded a certain way” manner by which others are to distinguish the use of your disclaimed phrases to let you know that they are using 'those' phrases? You have never explained even in a simple format what the use of a “non-exclusive use” of the phrase *thread ted/s* and *thread bear/s* means to you. Now would be the best time for you to give examples of what your signature on that document actually means. This is breaking news to all of us, as it's the FIRST time you've referred to your disclaimed phrases and given us any directives in how we SHOULD use them, instead of just how we shouldn't. This does need an Answer – and quickly! I am not upset; I couldn't be more clear-minded. It doesn't matter if you've put my words online, though they are my Copyright, you've done so w/o permission and not in a Fair Use doctrine type of use. I have not told any untruths or purposefully mislead others. As you've previously quoted, my words were even sincerely complimentary to your work in the past. I just cannot abide bullies which is how 99% of the people aware of this situation—which began in earnest on Feb 10, 2005—feel about those involved in the Thready Bears, Thread Bears® company. I have again privately received multiple contacts agreeing with what I have written, many of those known to you yet asking to not be quoted by name or address because you have involved yourself with them in the past or they fear your undesired wrath in the future. Your name alone can strike fear in the minds of many other artists and that's a sorry reputation to own. How shameful for you. We are not going to try to simplify disclaimers for you yet again. This is just one example of us making it simple for you and your misguided followers: http://www.teddy-talk.com/viewtopic.php?id=48388 You clearly don't understand, and you're trying to sway others to believe that you know what you're talking about. And why do you think they should listen to someone who has no ownership? 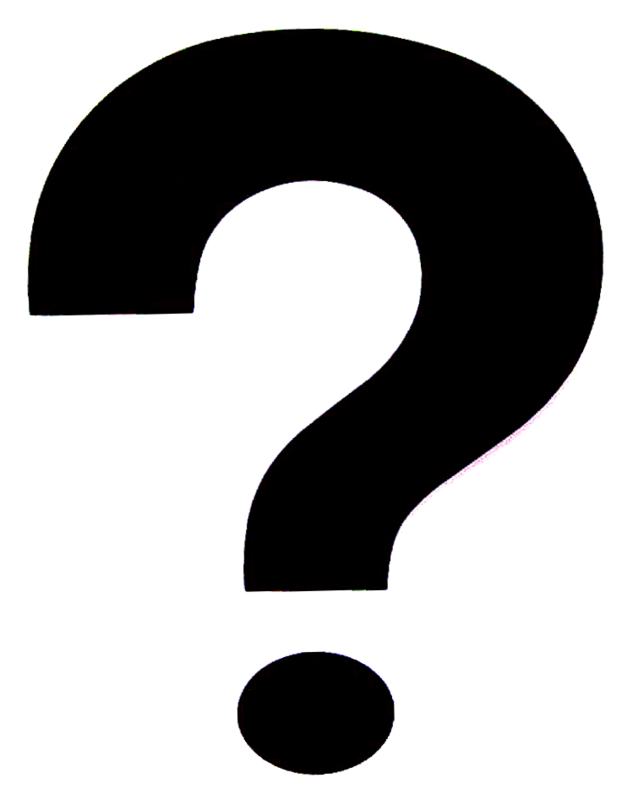 Hasn't it occurred to you by now that after helping Berta lose two cases, in the meantime letting your business dissolve, that you really don't know what you're talking about? How is it that you think you are such an authority on things, like trademarks and how to run businesses when you have neither. And look, that Teddy Talk topic is a discussion about our business which you or your buddies initiated, not us. For “nobody going out of their way to discuss” us, you guys sure do bring up the topic a lot. All the things you've accused us of in your ranting is what you have done. You already your chance to clean up your mess, and you didn't. You waited to come out of hiding to rant when we already gave you over a year's worth of time with your own soapbox here on our blog. Refer to our beyond basic bears page. We do believe that you and your friends have had enough opportunity to give your opinions, which is why this is the last time we will accept anymore of your ranting posts of misinformation and lies.